“It’s staggering that this level of black men are disconnected from workforce,” says Janelle Jones, an analyst at the Economic Policy Institute who co-authored a recently published, wide-ranging report on hours worked by all workers ages 25 to 54. EPI is a left-leaning research group. Over 21% of black men did not work at all in 2016. That’s up from 12.8% in 1979, the first year of EPI’s analysis. 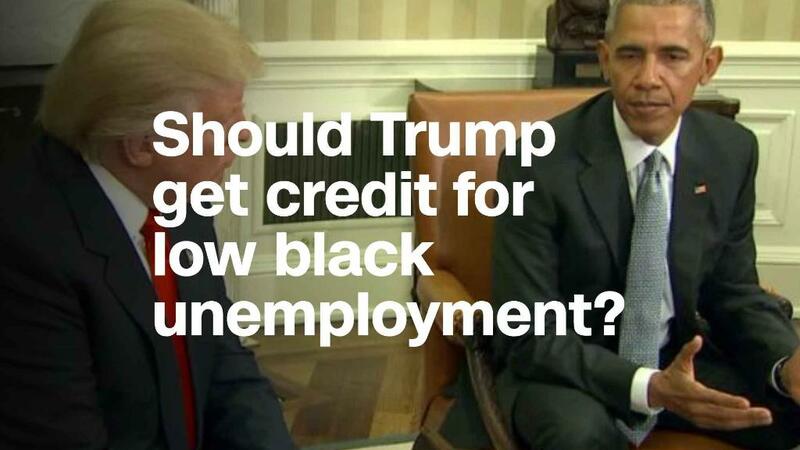 CNN’s Van Jones argues that the fall in black unemployment is a welcome sign, but it’s not anything to get excited about. The white unemployment rate is 3.5%, Hispanic unemployment 5%, Asian unemployment 3%. “When they come back into their communities, what are we doing? What can they do? What are their economic prospects?” Jones asks rhetorically. Additionally, education levels have a key role in a person’s ability to find any kind of work, even if some jobs don’t require high school diplomas or college degrees. Of the black men who didn’t earn any income in 2016, 75% had a high school degree or less. The majority of nonworking, prime age black men are out of a job involuntarily — that is, they want to work. But illness, disability or an inability to find work hold them back. That trend is true for the same demographic of white and Hispanic men, but the issue is less acute.